Total Lunar Eclipse or Blood Moon will occur on 20-21 January 2019 with Moon transiting in Pushyami constellation of Karkataka Rasi (Cancer) according to Vedic Astrology. This lunar eclipse 20-21 January 2019 will be visible throughout North and South America. Complete lunar eclipse can be seen from North and South America, United Kingdom, and partial lunar eclipse can be seen from Europe, Africa, Middle-East countries in Asia. As the eclipse begins, Earth’s shadow first darkens the Moon slightly. Then, the shadow begins to “cover” part of the Moon, turning it a dark red-brown color (typically – the color can vary based on atmospheric conditions). The Moon appears to be reddish because of Rayleigh scattering (the same effect that causes sunsets to appear reddish) and the refraction of that light by Earth’s atmosphere into its umbra. Penumbral Lunar Eclipse will begin at 02:36:29 UTC on 21 July 2019, Partial Eclipse begins at 03:33:54 UTC, Full Eclipse begins at 04:41:17 UTC. Maximum eclipse can be seen at 05:12:14 UTC, full eclipse ends at 05:43:15 UTC, partial eclipse ends at 06:50:39 UTC and penumbral eclipse ends at 07:48:02 UTC on 21 January 2019. Total duration of this total lunar eclipse is 6 hours, 9 minutes and 51 seconds. 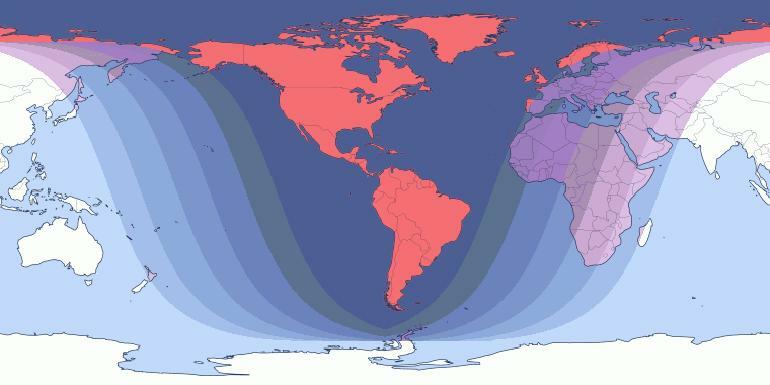 Countries falling under the darj zone in above picture can see this lunar eclipse. Places in Dark color will witness total lunar eclipse, while totality reduces to partial as color changes to light . Countries in white color cannot see this lunar eclipse 20-21 January 2019. Moon in Pushyami conjuncts Rahu in Punarvasu Nakshatra in Cancer. Sun conjunct Ketu, Mercury in Uttarashada in Capricorn aspected by Rahu+Moon forms Lunar Eclipse 20-21 January 2019. Jupiter and Venus conjunct in Jyeshta nakshatra (Scorpio), Saturn in Poorvashada (Sagittarius), Mars in Revati (Pisces) do not influence this eclipse. However, 5 planets (Sun, Moon, Mercury, Rahu, Ketu) will heavily influence both Capricorn and Cancer to bring few sleepless nights for those born in these signs. A Lunar eclipse occuring in water sign Cancer indicates deaths in water bodies. People going for swimming, fishing, water sports can experrience threat. Floods, cyclones, water accidents, drowning of boats can happen in North and South America. If you are born with Moon conjunct Ketu or Rahu, do not attempt swimming or diving into water during this month. If you are born with Moon in Pushyami, Anuradha or Uttarabhadra constellations, or going through Saturn (Sani) Dasa, then expect major changes in life within next 4 weeks. 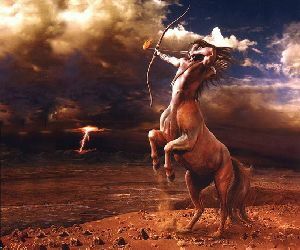 If you are born under Cancer Moon sign or Ascendant or going through Moon Dasa, then it is time to take care of your money, health and relationships. January-February 2019 will be testing time (psychologically) for people born in ascendants and moon signs of Aries, Gemini, Cancer, Capricorn, Sagittarius. Expect good days for people born in ascendants and moon signs of Libra, Aries, Aquarius, Taurus. For others, effects will be neutral. USA, UK and Canada will face climate and terrorist threats. There will be immigration related criticism and issues in these countries. South American countries can also face natural calamities and political turmoil. USA president Donald Trump will face more negativity. Oil prices will increase and syria crisis will deepen.